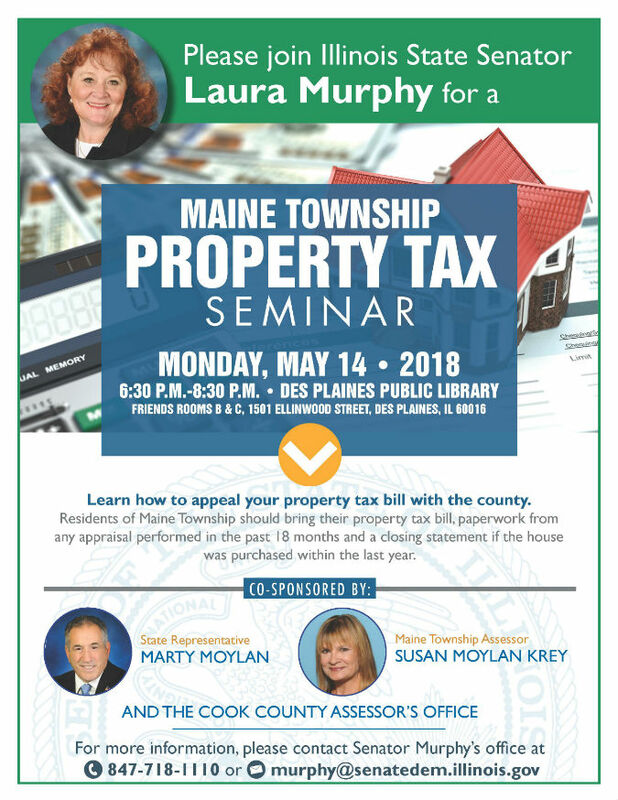 State Senator Laura Murphy, a Des Plaines Democrat, joined Rex Parker in celebrating the 115th anniversary of the Village Press. The Village Press was established in Park Ridge in 1903 by Frederic W. Goudy and was modeled on the ideals of William Morris and the Arts and Crafts movement. The McLean County Museum, located in Goudy’s hometown of Bloomington, will honor Goudy’s work and the 115th anniversary of the Village Press with an exhibit titled “Frederic Goudy: Titan of Type” this fall including a series of 35 posters designed by Park Ridge artist Rex Parker to honor Goudy’s achievements. 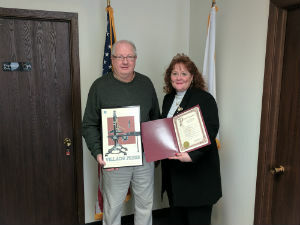 In the photo to the right, Rex Parker, a former Park Ridge alderman and artist, joins State Senator Laura Murphy (D-Des Plaines) in celebrating the 115th anniversary of the Village Press. 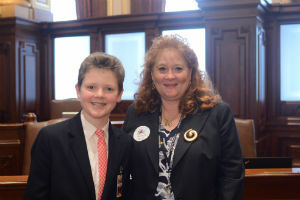 Park Ridge eighth grader Will Fehrman joined Senator Laura Murphy at the Capitol in Springfield as her page for the day. 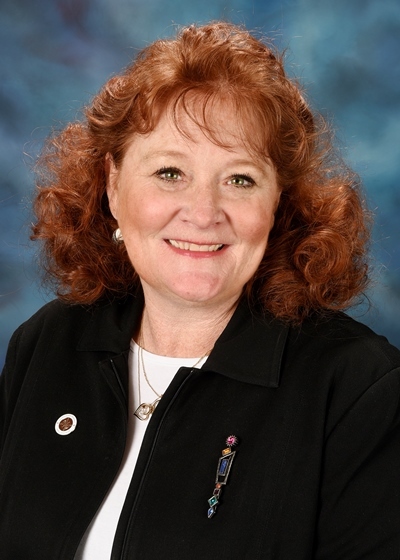 Fehrman visited the Capitol on Feb. 28. 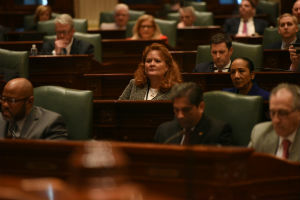 He attended committee hearings and joined Murphy on the Senate floor for voting. Fehrman attends St. Paul of the Cross School in Park Ridge, where he is an active member of the student council and academic team. He also plays on St. Paul’s basketball, baseball, volleyball and soccer teams.